Brushtail possums were successfully introduced to New Zealand from Australia in 1858 to establish a fur industry, after a failed attempt in 1837. This large adaptable mammal can forage through large areas of forest every night in search of insects, fungi, plant material (leaves, fruit, flowers, seeds), reptiles, land snails and birds (adults, chicks and eggs). Possums can range far and wide to find these foods, and are both a competitor and predator of our native wildlife and the forests they need to survive. Our current control method is the sentinel kill trap, which is secured on a tree using a simple piece of pipe which enables them to be moved easily. Higher capture numbers seem to come from changing the lure on the bait clip (white plastic square in picture) to different scents. Currently we are using a paste from Goodnature (Wellington based company), Ferafeed (Connovation) and possum dough (Trappers Cyanide Ltd). 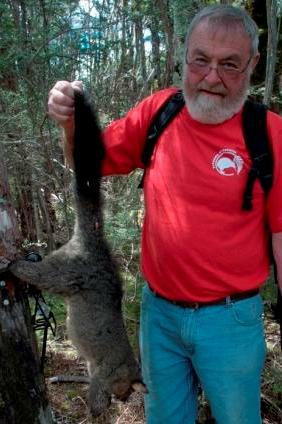 Please contact us if you would like more information about our possum trapping. The domestic cat was introduced into Aotearoa – New Zealand by European settlers in the mid 19th century. 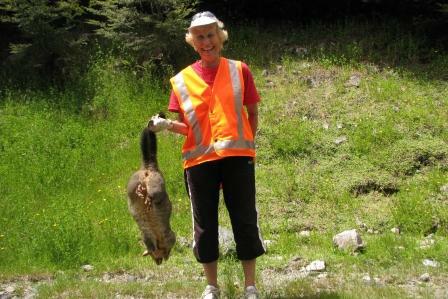 In our district, Nelson Lakes, and its surrounds, like so many other rural areas, cats have been released to control wild rabbits and other vermin since early farming days. These cats have successfully colonised these areas and have become truly wild and very successful predators, arguably our apex imported predator. A draft document by Members of the National Cat Management Strategy Group (NCMSG) estimates we now have at least 2.5 million feral cats in Aotearoa – New Zealand. Members of the Friends of Rotoiti (FOR) have been informally trapping feral cats for the last 9 years. This was formalised 3 years ago with the purchase of 24 live capture traps and the establishment of records. We are currently also using 18 DOC traps which takes our total number of traps to 36. 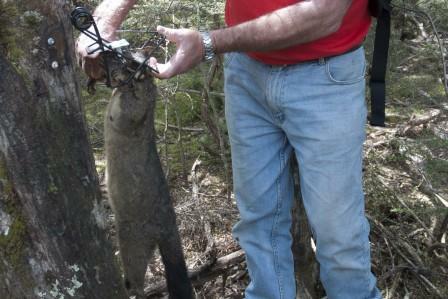 Traps are usually baited with fresh rabbit meat and checked once a day. 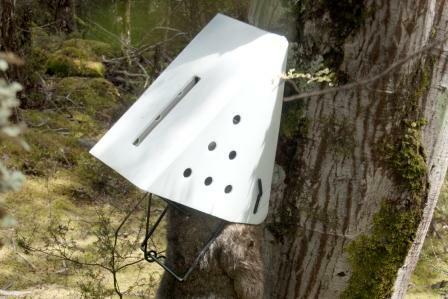 Live capture traps are used to avoid damaging native wildlife. In our area we are particularly concerned about weka, kea, kiwi and kaka. We are currently working on kill traps that will be safe for native birds, will require only fortnightly inspections and can be used in remote parts of the Park.